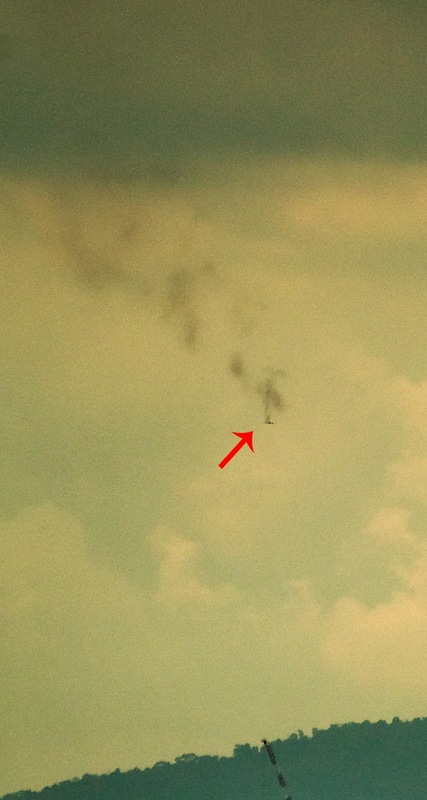 Just saw a little plane flew by Ampang, around 2.30-2.40pm. What caught my eyes was a bright orange light from the left wing. Thinking that maybe the right lights were off, I stared at it and realised that it was most likely the left engine was on fire! By the time I managed to get my camera, the plane had headed in a north-westerly to westerly direction. I managed to capture only the smoke plume and the tiny plane far away. Hopefully the plane and the people in the plane are okay. 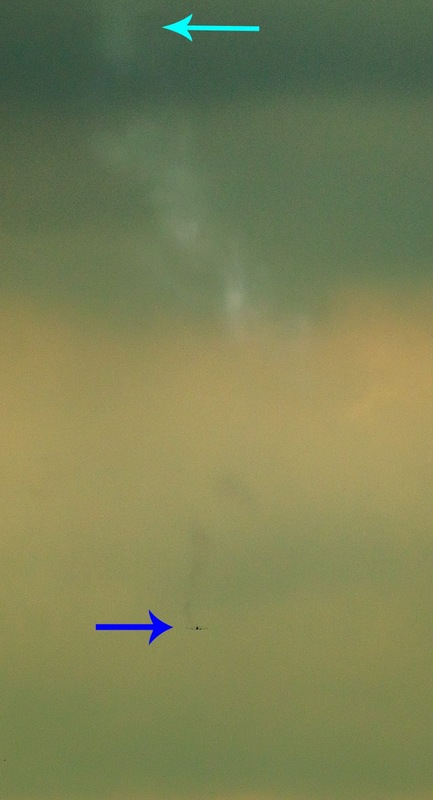 Cyan arrow: start of white smoke. 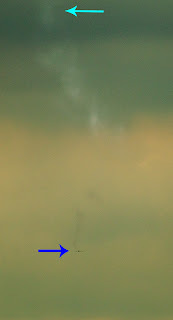 Blue arrow: plane and darker smoke from left engine. 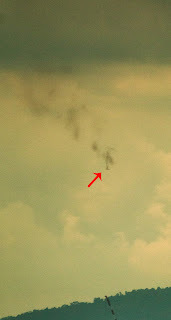 Red arrow - plane and darker smoke coming from the left side. Hopefully all passengers safe and sound.